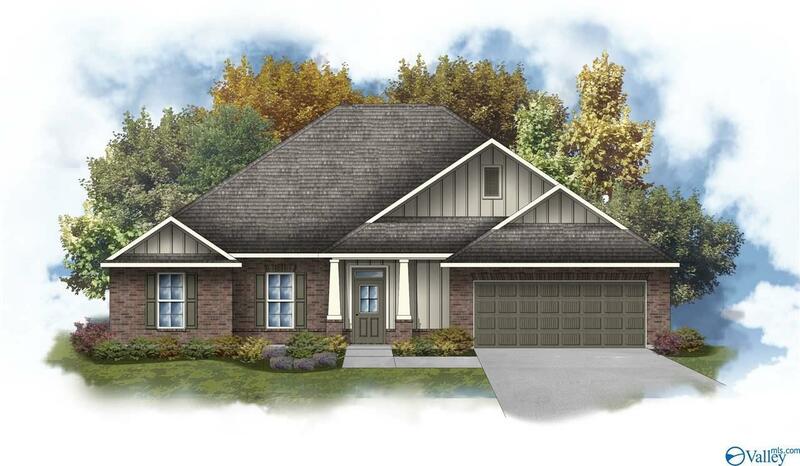 This Hendrick III is a 2 story open and split design with a game room! Upgrades Added: Wood Floors, Dining Room Light Fixture and More ask for details. Special Features: Granite counters with under-mount sinks throughout, stainless appliance package including gas range, gas fireplace with stone hearth and surround, wood floors in living room/hall, ceramic tile in wet areas, crown molding, recessed lights, brick and hardie exterior and more! Energy Efficient Features: Vinyl low E-3 tilt-in all temp windows, radiant barrier roof decking, high efficiency 14-Seer HVAC and central gas heating system, TVA Energy Right Partner and more! $3500 Closing costs when using Preferred Lender.